A misunderstanding could lead to an unnecessary hate. That could also turn someone’s world upside down. Filmed in an island with beautiful backdrop, short but valuable drama, Baek Hee Has Return is a good drama to spend your spare time. I’ve never liked Kang Ye Won (played as Baek Hee)’s acting before. She actually ruined the mood in Bad Guys (OCN, 2014). But she did a good job here as Baek Hee and was lot better compared to her Bad Guys acting. Kim Sung Oh (played as Bum Ryong). I do think his acting was a litt~~le over the top especially when he pledged the reporter to give him the Red Sock video. I do personally think he could tone it down and the finished product would be still excellent. He’s a great, versatile actor that needs more attention!! Well, aside from Kim Sung Oh, I did have doubt in the acting of every cast. Especially since this was only a filler drama and it was my first time discovering most of the casts. But the casting was great and every actor involved did a great job in bringing out the best of their character. Many scenes were filmed with beautiful sea at the background plus beautiful sunset. Really pleasing to the eye. The film quality was not that HD and sharp and crisp and all unlike regular dramas. But I think it’s excusable since they were only filler drama with only 4 episodes in total. I’ve seen worse filler drama from cinematography, acting and story aspect. So actually Baek Hee Has Return did better that other filler dramas. The story was nicely written. I liked the twists! It was twist within twist. I did not expect anything spectacular from a filler drama. And because this drama is the first drama that I watched after my long hiatus, I really did not expect anything. But I liked the plot! With the fact that they only had 4 episodes but the writer did not rush it. The characters got plenty of time to connect with each other e.g. Ok Hee (played by Jin Ji Hee) with the trio ahjussi. We also got plenty of backstories of the characters to better understand their actions in the present time. Many things happened in the span of 4 episodes but it wasn’t rushed. The plot and character development was also great. Show really excelled at balancing the mystery and humor. There were many times I laughed because of the cheap humor Show threw out. I also liked how Show kept important things hidden until the end without overwhelming me with too many new facts coming out all at once. 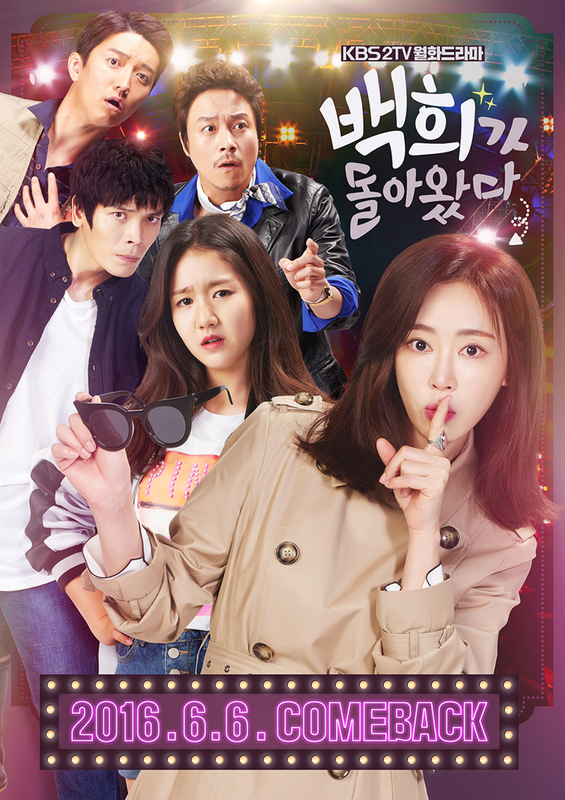 The characterization was great but Bum Ryong was really a pity character. If someone like him existed in real life, how scary it’d be. This character also had anger management issue that ultimately ruined his and Baek Hee’s relationship. And, I’m not okay with Show trying to sugar it and reassure us his action was right. But overall, I’m impressed with Show and enjoyed it. Whoa, it’s really been a while since the last time I wrote a proper review post. Even tho this review is still far from –proper- review that I used to post T_T. It took me 4 days to finish this very short post. Anyway, Show was one fun short drama that’s not 100% revolve around a love story. It’s about one searching her real self, plus getting to know who your real father is. Give it a shot because it’s worth it. Show gets a solid 8 out of 10 from me.